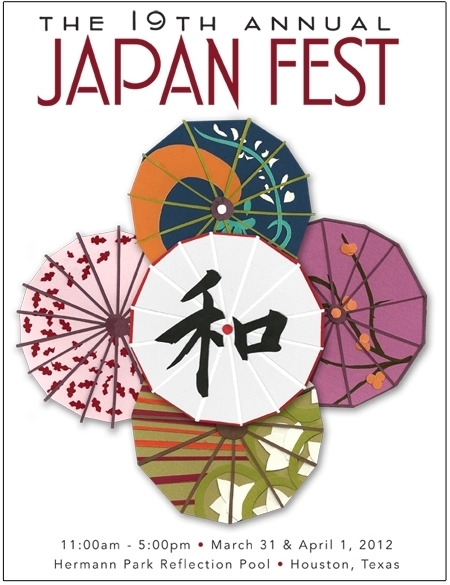 Why: The Japanese population in Houston has an annual festival to celebrate their traditions, culture and local community. These pieces were used to help promote the event. How: To imitate the tradition Japanese Parasols, I created this illustration out of cut paper. This image became the theme for all of the festivals collateral material.